Attention Flockers: Different Grace Time! Discussion in 'News & Announcements' started by MinasMorGhoul, Aug 29, 2017. Number 1: You get more time to collect the Fireworks from Scout Markers! Wheeee! Number 2: You absolutely HAVE to CLAIM your rewards before the Countdown is over or they will be lost! 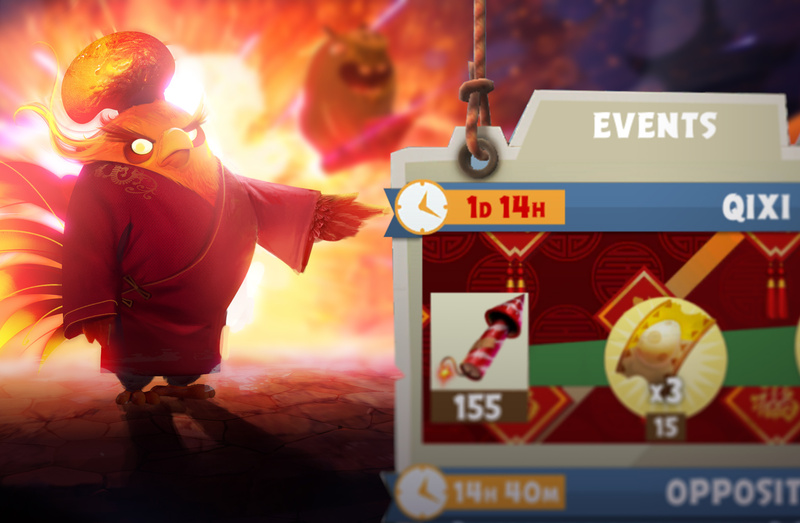 Number 3: The Fire Rooster is only available until the end of the Countdown! The clock is ticking! Woah, I noticed that when I saw that the event is a bit longer than the previous ones. Terrence and rafidi like this. It's also worth noting there's a bit of an issue with the grace time end screen! The meta event points icon was replaced by the gem icon. While it looks pretty, that's your meta event points earned, not gems! Hopefully it won't be too confusing tomorrow. Glad this was posted so well in advance *sarcasm* I finished the event with seconds to spare and was so worried about getting a screen shot that the timer expired. So I got the 250 tickets and got, well, nothing. Just making sure, the current event is working the same, correct? Yes it is... the White Artifact Hunt ends tonight 8:00pm EDT; BUT the event ends tomorrow which includes the grace period. I'm still able to get artifacts. Man, 30 more before using some energy berries. Hope I can make it. Blowing 450 gems for a x10 ticket is definitely a good deal. I have like 10 artifacts left. I spent 450 gems total. The best part about the energy drink is that it restores the 4th scout too.